I live in England, and here Christmas is pretty inescapable. That suits me fine as I love the whole thing: twinkly lights, family get together that’s always exactly the same every year, crazed people rushing through the shops. And so, as the year winds down you would find me in a big bookshop looking for suitable books for young nephews ages 3 to 8. This is not too hard because I have a shortlist of sure-fire winners: The Gruffalo and The Very Hungry Caterpillar are the pre-school favourites, and the older kid is getting The Worst Witch. So, here I am in a bookshop with some unexpected time on my hands. I head over to the computer section to see what they might have on usability. It’s a big bookshop and the fixtures are about 6 shelves high. There are 7 of them dedicated to computers. Each shelf holds about 25 books. 6 x 7 x 25 = 1,050. I start to search for the usability books. I search again. On my third pass, I try to search methodically, combing through the shelves starting with book 1, shelf 1 and fixture 1 and working right through all the The Best Book of Excel and its friends to the final shelf. So where are they? It’s not busy in the shop so I go to ask the assistant. The assistant is helpful and knows her stock. She comes over to the computer section with me and immediately directs me to the shelf of guides to how to use the computer. She turns straight to the web development section, plucks a book out of the shelf and opens it at the contents page. Yes, it has a whole section of one chapter on accessibility. She goes off to search the stock-list and reappears moments later. I think you’ve guessed the sad end to this story. 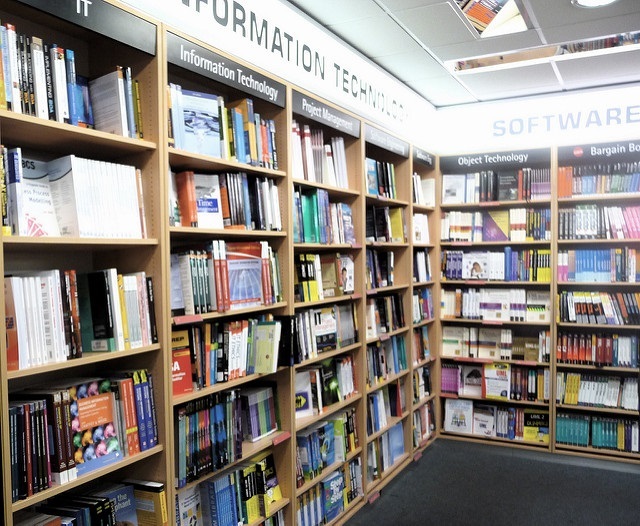 They could find shelving for approximately 1,000 computer books, but no space for anything on usability, user interface design, information architecture, user experience, or any of the other things that we call our profession. For me, it’s a lesson in humility. It’s probably telling me to remember that most people have never heard about usability, and even most people who create websites or develop computer programmes have never heard about usability. And perhaps a New Year’s resolution: less arguing amongst ourselves about our differences, more campaigning out there to get the message across: computers and websites can be designed to be easy to use. Previous Previous post: Hooray, I’m Doing the Forms!